The Coroverge Universal Dry Verge system from Ariel Plastics is a re-engineered, dry fix roofing solution that is fully compatible with an expansive range of roof tiles. 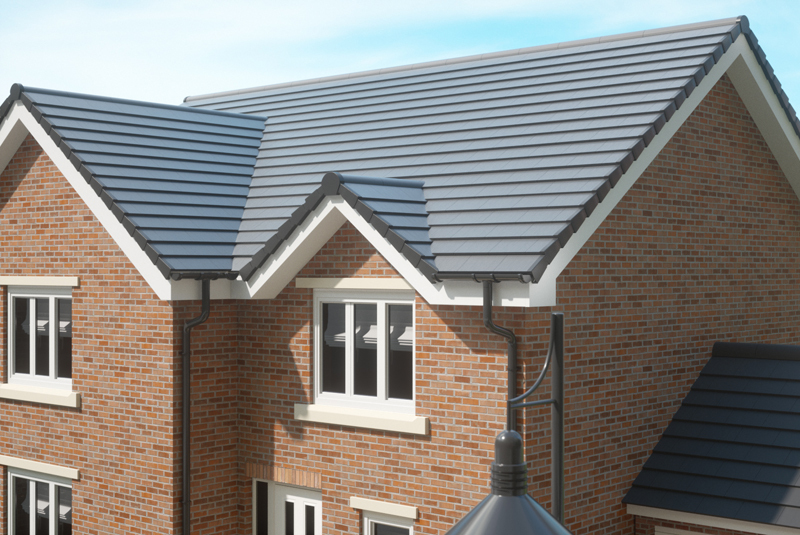 Designed for ease of installation and to provide a neat mortarless finish at roof verges on new build and retrofit projects, the Coroverge Universal Dry Verge system is a 100% mortar-free, dry fix solution, offering a hard-wearing, durable finish to the roofline without the inconvenience of using mortar bedding. Manufactured from plastic materials that are weather resistant, the Coroverge Universal Dry Verge system protects the roof verge from wind uplift, pest infestation and weather degradation. Available in Brown, Anthracite Grey and Terracotta, this all-weather system includes Starter Piece, Verge Section, Batten Clip, and Angled and Half-Round Ridge Caps options to suit the ridge style. It is also fully adjustable for installation with tiles between 260 – 350mm gauges. The temporary ‘True-Line’ guide in the Starter Piece ensures it is lined up correctly with the tiles whilst a cut out area provides the flexibility to work around existing gutters. The Verge Sections are not handed to fit both the left hand and right hand sides of the roof and the ‘True-Connect’ locators fit the ‘True Mount’, allowing adjustable positioning of the Verge Sections to suit various tile gauges. An in-built ‘drip strip’ also allows rainwater to run off the Verge, avoiding wall staining and potential damp and there are flex points on the Ridge Caps which allow for differing roof angles and a choice of angled and half round options to suit the ridge style. For more information, visit www.arielplastics.com.